It’s Saturday which means it’s MONKEY GIVEAWAY TIME! On Tuesday I announced my first-ever MONKEY GIVEAWAY based on the fact that I might have another personality living in my brain. One that likes to write cryptic notes to self that I find later and have to guess at their meaning. At any rate, I have collected a stash of vending machine monkeys for my MONKEY GIVEAWAY and am giving them away in the hopes that the winners will use them to build a terrarium, decorate it, or use said monkeys in the pimping of their workspace. 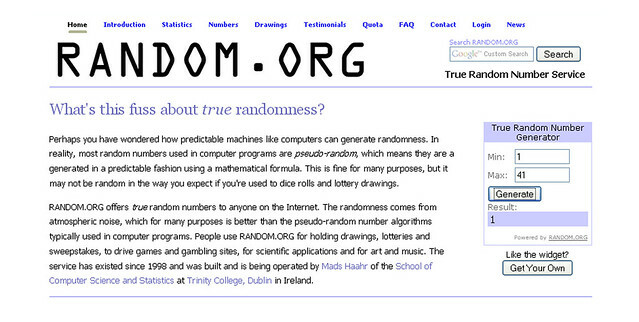 I have selected three winners using random.org. 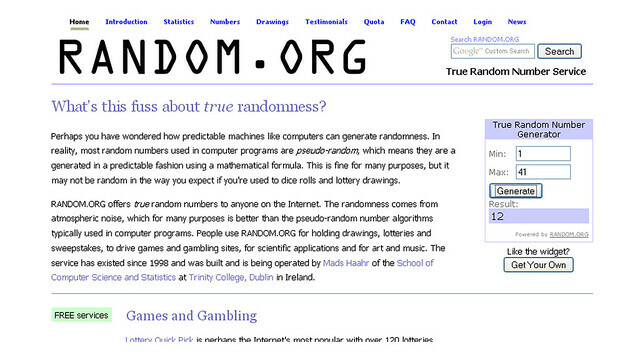 WINNER NUMBER ONE IS… NUMBER ONE! 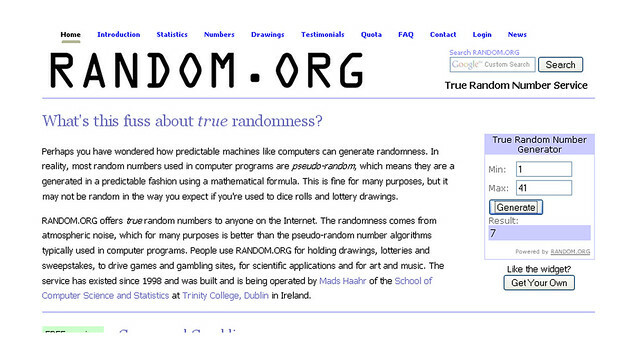 WINNER NUMBER TWO IS… NUMBER SEVEN! NUMBER TWELVE! THAT’S YOU, GRUMBLIES! 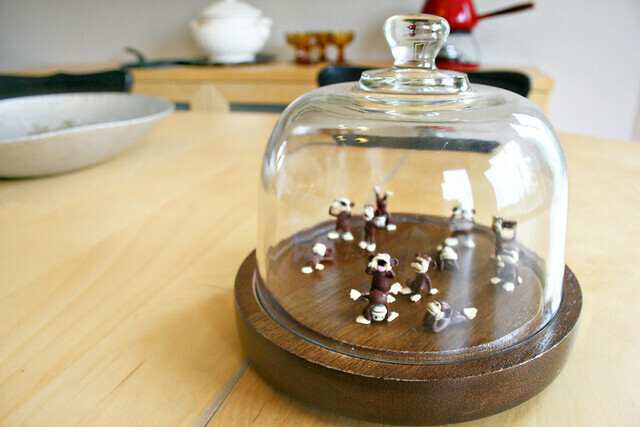 Winners, please email me your address so that I may send you a selection of MONKEYS for your terrariums or your pimped out workspace. Thank you so much for everyone who participated, and I plan to have more giveaways in the future so your odds of winning something spectacular (like vending machine monkeys) are still very good. I am impressed with all the Little Big readers who are definitely going to Heaven because they retweeted this give away and/or posted about it on facebook or their blog. I love you all. You guys are such gracious participants. Yay monkeys! I mean, not for me, but that doesn’t matter. Yay monkeys! 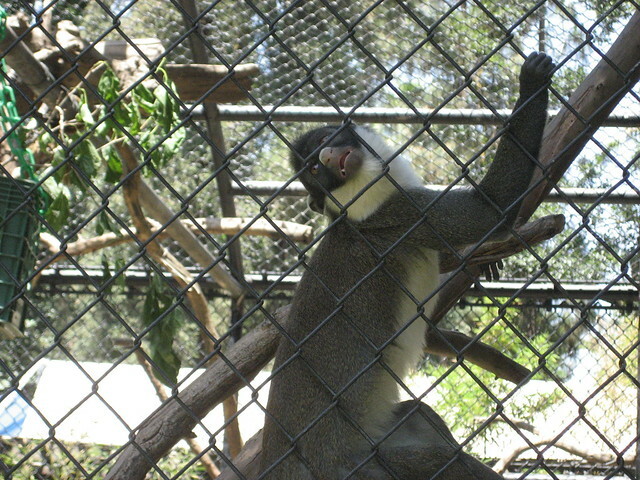 It’s entirely possible I’ll find more monkeys and just give you one. Or, you know, a fake mustache from a vending machine. 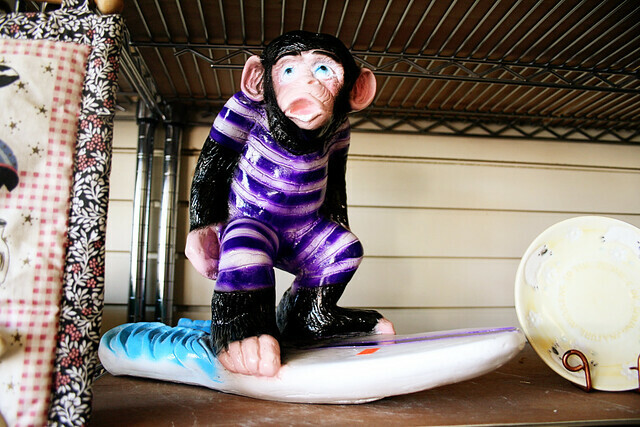 To hell with the plastic monkeys. 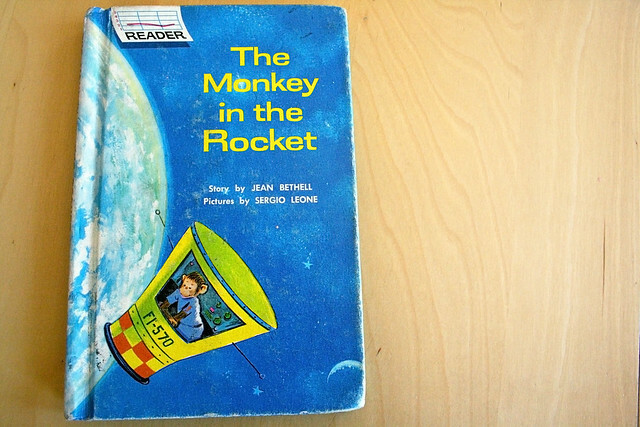 Now I want that “monkey in a rocket” book. Does that REALLY say that Sergio Leone did the illustrations? Like, Sergio Leone, the guy who did the scores to “The Good The Bad And The Ugly,” etc.? !